American mezzo-soprano Elizabeth Pojanowski is gaining renown in theaters and concert halls not only for her voice but for her electric stage presence and keen interpretation of new works. 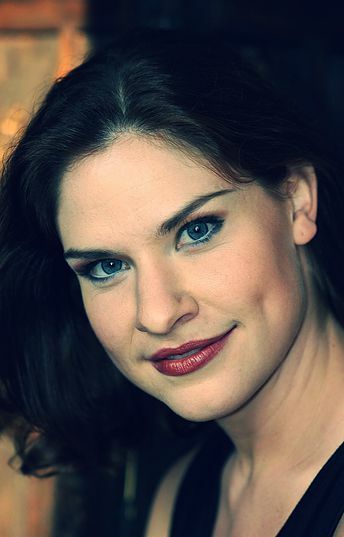 Opera News writes that in Chautauqua Opera’s production of The Cunning Little Vixen, “her Fox provided a charming love interest and a warm, clear timbre.” In 2015, she sang Dorabella in Annapolis Opera’s production of Cosìfan tutte and also originated the role of Sadie in the critically acclaimed world premiere of Ricky Ian Gordon’s beautiful opera Morning Star with Cincinnati Opera. She began 2016 performing Cherubino Le nozze di Figaro with Seattle Opera, and this summer will perform Isolier Le comte Ory with Loft Opera. Pojanowski made her New York City Opera debut as Shelley in the American Premiere of Anna Nicole in 2013. In 2014, she also made her Opera Omaha debut as Tisbe in La Cenerentola, which she then performed with NYCO Renaissance. In 2008 she was proud to sing the role of Fiona in the workshop of Nico Muhly’s Two Boys with Bartlett Sher at the Metropolitan Opera. A frequent visiting artist at Cincinnati Opera, she has sung Nancy T’ang in Nixon in China, Mercédès in Carmen, Tebaldo in Don Carlo and Ensemble in Ainadamar. As a young artist at Seattle Opera, she performed Dinah Trouble in Tahiti, the Child (title role) L’enfant et les sortilèges, Hansel Hansel and Gretel and Hermia A Midsummer Night’s Dream. Other favorite roles include Prince Orlofsky Die Fledermaus (Opera Saratoga), Siebel Faust (Eugene Opera), Stéphano Roméo et Juliette (San Antonio Opera), Ernestina L’occasion fa il ladro, (Little Opera Theater of New York), Olga Olsen Street Scene (Chautauqua Opera), Third Lady The Magic Flute (Eugene Opera), Nancy Albert Herring (Aspen Opera Theater), Cousin Hebe H.M.S. Pinafore (Dayton Opera) and La Maestra delle Novizie Suor Angelica (Opera Festival of Lucca). Also at home as a concert artist, she was the alto soloist in Strauss’s Le Bourgeois Gentilhomme with Seattle Symphony, Rossini’s Stabat Mater with Yakima Symphony Orchestra, and Mendelssohn’s Elijah with the First Presbyterian Church in New York City where she also sang Mary in Respighi’s Lauda per la Natività del Signore and the Second Soprano soli in Bach’s Magnificat. Pojanowski earned her BFA in vocal performance from Carnegie Mellon University, her masters in music and artist diploma in opera from University of Cincinnati’s College-Conservatory of Music. She is a three time Metropolitan Opera National Council Regional Finalist and a Liederkranz Opera Finalist; she has also received the Palm Beach Encouragement Award, the top Chautauqua Opera Guild Apprentice Award, an Aspen Opera Theater Fellowship, a Corbett Scholarship and a Klose Seybold Scholarship.